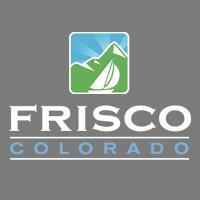 Join the Town of Frisco on Saturday, May 18, 2019, as we clean the streets, sidewalks and parks of Frisco after the snow melts – and get a free lunch at a post clean up gathering as a "thank you" for your efforts. Wear clothes you don't mind getting dirty and comfortable walking shoes. Bring lots of family and friends – it makes the morning more fun. After clean up, Town Council members will be grilling up and serving food at the Frisco Historic Park! In 2018 Safeway, 5th Avenue Grill, The Lost Cajun and The Butterhorn Bakery graciously provided the food for the BBQ and Outer Range Brewing Co. donated the beer. Check back for an updated sponsor list for 2019. All food waste will be composted and all supplies will be recyclable when available – so there will be minimal waste going to the landfill after this event. Frisco strives to be environmentally friendly with our events and walks the walk with our Zero Waste Picnic Lunch which is a "thank you" to volunteers. Several local businesses have been kind enough to donate some amazing gift certificates and prizes to be given away at the event as a "thank you" to lucky volunteers! Think you picked up the "Grossest", "Most Unique" or "Most Valuable" item in Frisco on Clean-Up Day in 2018? Hang on to it (if you can stand it) and submit it to see if you win a special prize!